Since 2017 “Support to SME Development in Armenia” (EU-SMEDA) project, which is co-funded by the European Union and the German Federal Ministry for Economic Cooperation and Development (BMZ) and implemented by GIZ PSD SC Regional Programme, in cooperation with Enterprise Incubator Foundation (EIF), has been supporting Armenian startups with two grant competitions. Being a part of the EU4Business and EU4Innovation Initiatives, EU-SMEDA provides 2 types of grants: Innovation Matching Grant (IMG) and Science and Technology Entrepreneurship (STEP). With a series of articles we will be exploring startups that received grant in the framework of the EU-SMEDA project. 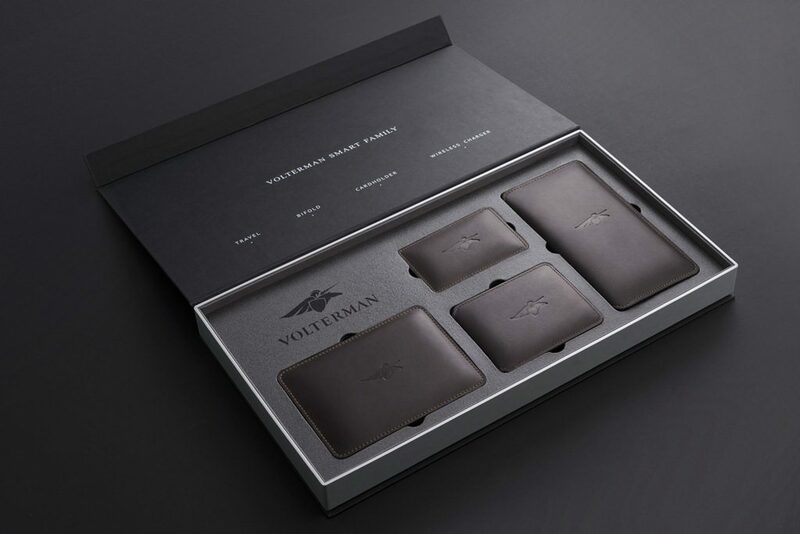 Volterman is a smart wallet with 5 smart functions: Built-in Powerbank, Distance Alarm, Global GPS Tracking, Worldwide WiFi Hotspot, Thief Detection Camera. The startup team is comprised of 14 people. According to the startup co-founder Azat Tovmasyan, the idea came when his daughter Natalie lost her wallet. “Some time passed before the idea evolved into a product. This journey started with Volterman bifold, now we have a cardholder, a travel wallet, a trackable passport cover and wireless charger. We are specifically proud that our products are marked “Made in Armenia,” notes Azat Tovmasyan. According to him, the uniqueness of the product is not only the electronic processor packed in a slim and elegant wallet, but also the idea to combine several features that customers need in something that they already use in their daily life that is the wallet. “Our revolutionary wallet is made by award winning designers and engineers. It is packed with built-in Power bank, Distance Alarm System, Worldwide GPS Tracking, Thief Detection Camera and Global Wi-Fi hotspot,” Volterman co-founder notes. The startup has received Innovation Matching Grant (IMG) in 2017. The company has developed the first version of its product in 2017. “Although the developed technology was sustainable we realized that we need to improve it to meet all the expectations of the market. In order to do that we have applied and back in 2017 we received an Innovation Matching Grant. We used grant proceeds to cover some of the costs to develop Volterman 2.0 series. We can say that IMG helped us develop more advanced technology that Volterman will use in all our products to be sold in retail markets. Meanwhile, we would have expected somewhat simplified reporting procedures for the Grantees. Overall, it was a great experience,” Azat Tovmasyan adds. Volterman considers EU countries as its target market. “There are two reasons for this. First of all, EU customers are technologically advanced and usually likeb to have the products that add efficiency and optimization to their lives. Also the average income level of individuals living in EU countries that is considered to be middle or high make EU one of our desired target markets. Secondly, the crowdfunding campaign gave us the opportunity to test the market and feel the interest of the customers towards certain product, and according to the results the interest in the EU market towards our product has been spectacular,” the startup co-founder explains. Being an early stage startup in the Armenian market was not an easy task, according to Volterman co-founder. “It was about working 24/7, overcoming challenges and correctly laying the path to the next stage of development. The biggest challenge was the hardware design of the technology since it was unique not only for Armenia but for other countries as well. The other issue was to find staff that is able to work with foreign markets and do customer support in line with modern requirements. 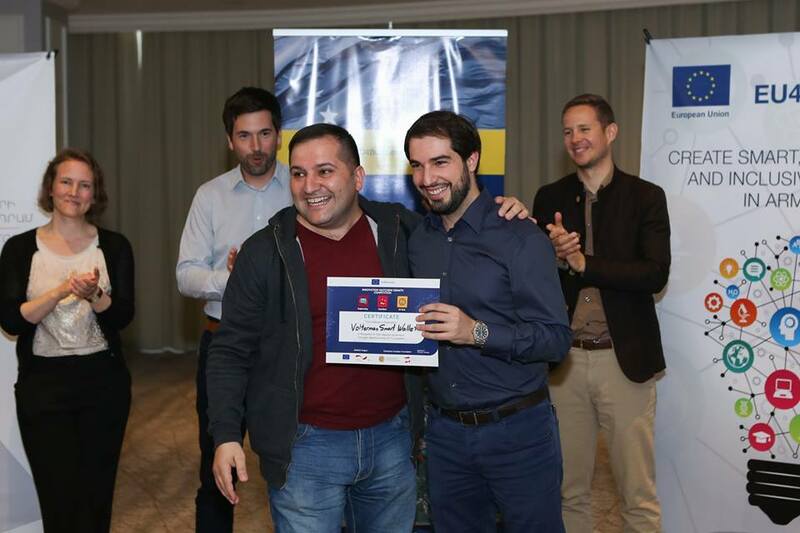 We managed to find qualified people for these tasks and we were very much rewarded,” Azat Tovmasyan adds. Notably, this November Volterman was one of the 6 startups from all over the world that was selected to participate in AdAge Next. The startup pitched live during Next Titans event panel of industry leaders, such as Mr. Bonin Bough, Founder and Chief Growth Officer of Bonin Ventures, Ms. Cheryl Cheng, General Partner of BlueRun Ventures, Mr. Michael E. Kassan, Chairman and CEO of MediaLink and Mr. Gary Vaynerchuk, Chairman of VaynerX. “We are an IoT company and one of our goals to permanently offer to the market new products that will use technologies and create new values for the customers. 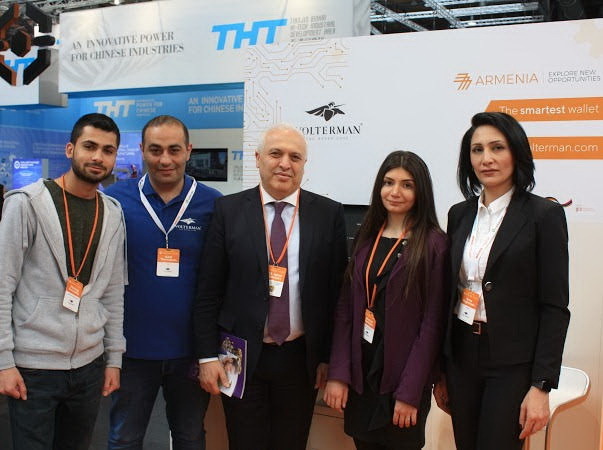 For the coming year we plan to present several new devices, particularly Volterman for Women wallet and the Volterman Smart Backpack,” Azat Tovmasyan concludes. Enterprise Incubator Foundation (EIF) is one of the largest technology business incubators and IT development agencies in the region, operating in Yerevan, Armenia.